Time for another installment—after last month’s item on The Catcher in the Rye—in the recurring series, Scathing Nation Reviews of Literary Classics. This time we have a truly ingenious pairing of writer and subject: Edmund Wilson, in 1956, on The Lord of the Rings, whose author, J.R.R. 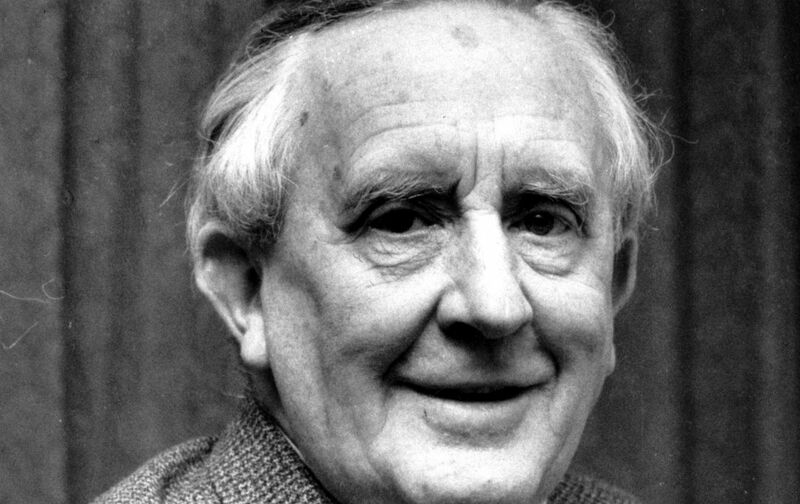 Tolkien, died on this day in 1973. Wilson dismissed the series as little more than children’s literature, a theme of criticism that has cropped up again in recent years as many readers “who are certainly grown-up in years,“ as Wilson quipped, satisfy themselves with literature that has little in it to challenge a brainy middle-schooler. Wilson’s critique of Tolkien can perhaps be seen as an early contribution to precisely this debate. Dr. Tolkien has announced that this series—the hypertrophic sequel to The Hobbit—is intended for adults rather than children, and it has had a resounding reception at the hands of a number of critics who are certainly grown-up in years…. It is indeed the tale of a Quest, but, to the reviewer, an extremely unrewarding one. The hero has no serious temptations; is lured by no insidious enchantments, perplexed by few problems. What we get is a simple confrontation—in more or less the traditional terms of British melodrama—of the Forces of Evil with the Forces of Good, the remote and alien villain with the plucky little home-grown hero. There are streaks of imagination: the ancient tree-spirits, the Ents, with their deep eyes, twiggy beards, rumbly voices; the Elves, whose nobility and beauty is elusive and not quite human. But even these are rather clumsily handled. There is never much development in the episodes; you simply go on getting more of the same thing. Dr. Tolkien has little skill at narrative and no instinct for literary form. The characters talk a story-book langauge…and as personalities they do not impose themselves. At the end of this long romance, I had still no conception of the wizard Gandalph, who is a cardinal figure, had never been able to visualize him at all. For the most part such characterizations as Dr. Tolkien is able to contrive are perfectly stereotyped: Frodo the good little Englishman, Samwise, his dog-like servant, who talks lower-class and respectful, and never deserts his master. These characters who are no characters are involved in interminable adventures the poverty of invention displayed in which is, it seems to me, almost pathetic.